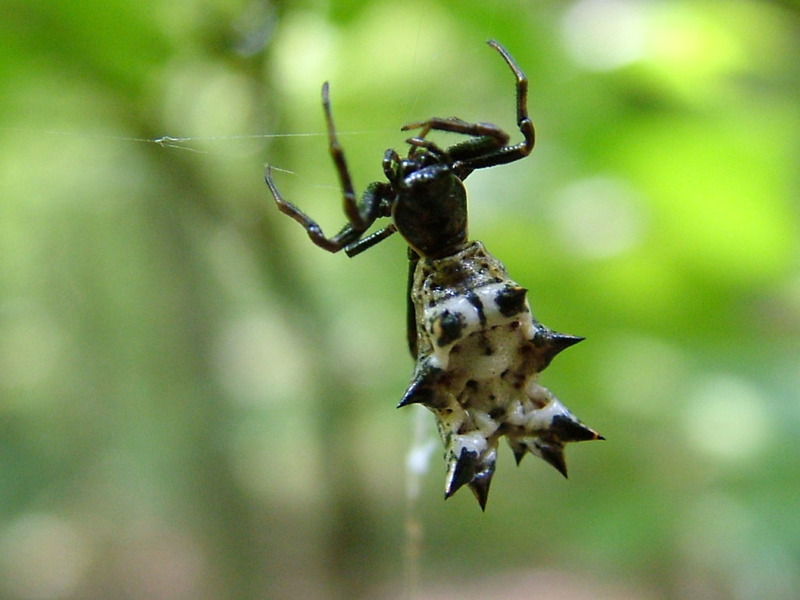 Spiders are amazing works of engineering (Photo: Karen McDonald). Let's face it, spiders are considered creepy by a large majority of people around the world. Yet when you ask them, most folks can't really name what it is about spiders that freaks them out so much. Usually explanations start with beady eyes, fangs, bites, or wrapping up their prey. Spider movement is also at the top of the list. They scuttle and scurry around at night (especially when you turn on the lights and they scamper off), jump, and generally run in a "creepy" way. But what makes their movement really foreign and creepy to us? The answer lies in two key elements of their anatomy, their skeleton and muscles. Posted in Biomimicry, Invertebrates, Spiders and tagged Spider legs; biomimicry; spider movement; how spiders move on December 16, 2014 by Infinite Spider.